Great Ocean Road Mammals part 1. 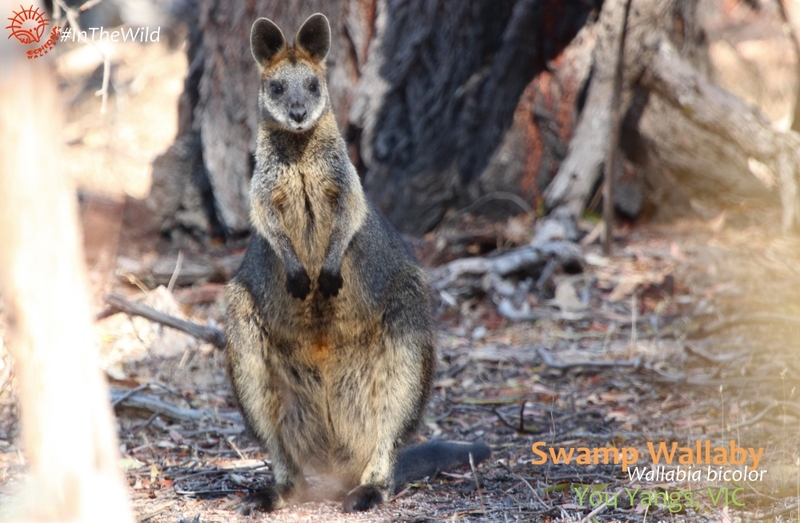 If you love soft and furry creatures – mammals – the Great Ocean Road is a great place to visit. We see more mammals on our 3 day Great Ocean Road trip than on our one day Koalas & Kangaroos IN THE WILD, partly because we have more time and partly because we visit more environments. 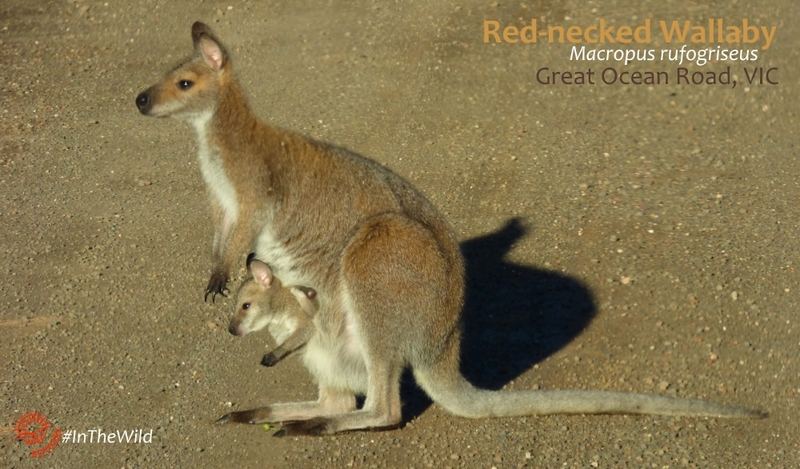 This post covers the macropods (wallabies and kangaroos) and the cetaceans (whales, dolphins) and seals of the Great Ocean Road. Part 2 talks about koalas, echidnas, bandicoots, potoroos and possums. We don’t only see mammals on the Great Ocean Road – its also great for birds. Read about the epic natural bird show from September to April here. This large wallaby is almost black or charcoal grey, with reddish-brown ears and belly. They love the thick forests, but are also seen in open woodland. 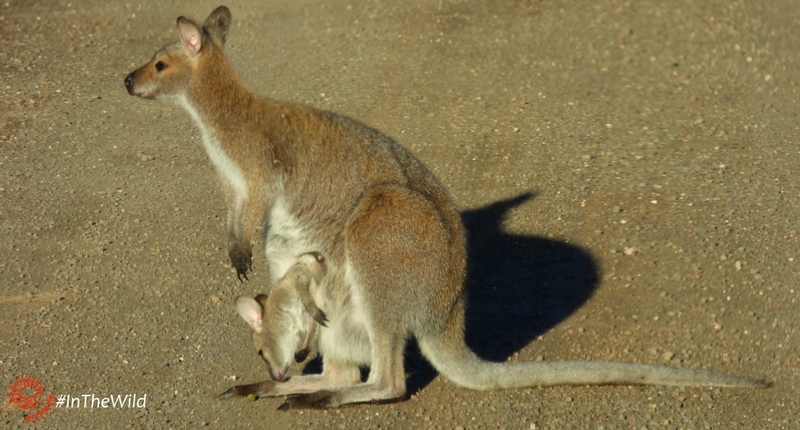 They are usually solitary, but you can see a mother and joey, or a female and male together especially in spring. We usually see this species on the first day in the You Yangs and/or Serendip Wetlands, and on day 2 and 3 in the forests of The Otways. Red-necked Wallabies are seen less often than Swamp Wallabies – they prefer grasslands adjacent to forest, and we usually see them near the coast. They are large, with a reddish-brown neck, head and shoulders, and silver grey tail, back and legs. They look very similar to kangaroos, to which they are closely related. This species is best seen in the evening on Day 2 and in the early morning on Day 3 in the Port Campbell area. Eastern-greys are one of the two biggest marsupials in the world – they can stand as tall as a Red Kangaroo, at 7 feet high. They live in grasslands with forest nearby. They can live in farmland, provided there are good trees to shelter under. Where they are harassed by people or dogs they only come out at night, but in places where they are left alone they can be seen during the daytime. Silver grey on the belly and grey on the back and head, they have very few distinguishing markings, but the size of the males usually makes identification easy. 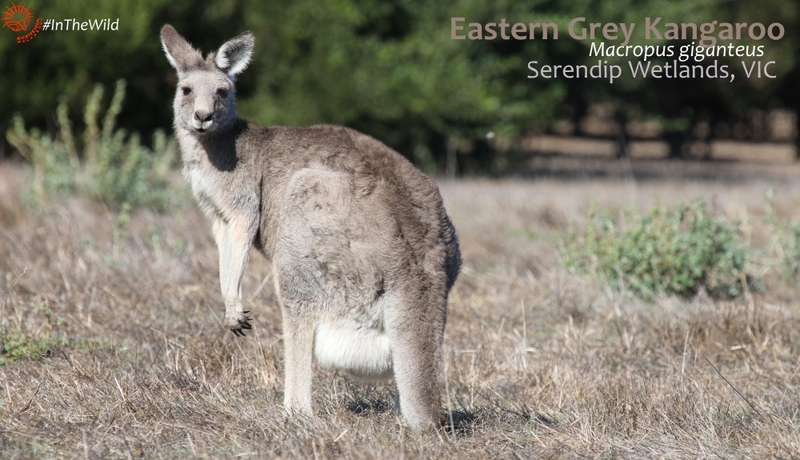 We see Eastern-grey Kangaroos at Serendip Wetlands and sometimes in the You Yangs on Day 1, and at several locations along the Great Ocean Road on Days 2 & 3. For more about which animals we see on specific tours, read here. Big whales are sighted along the Great Ocean Road coastline from May to October every year. 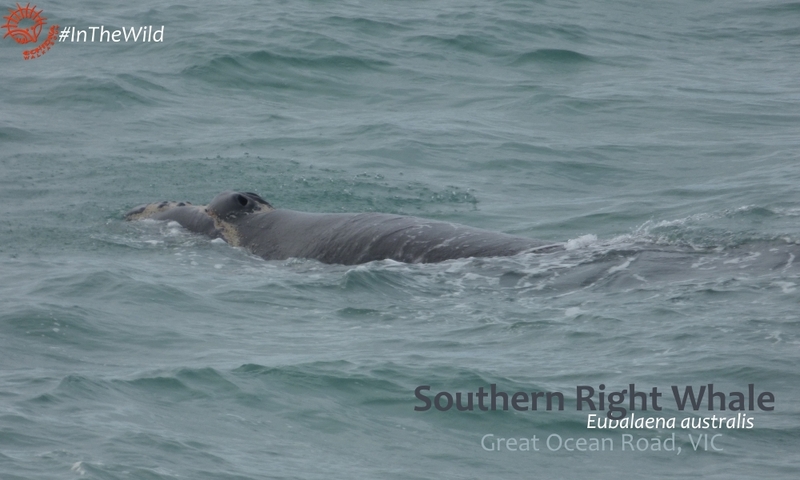 Both species appear, but Southern Rights come to the Great Ocean Road to have their babies, so more of them are seen. 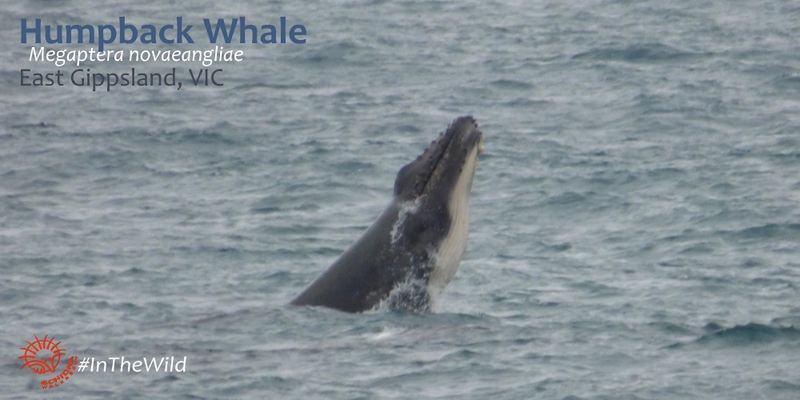 We are most likely to see big whales on Day 2, anywhere along the coast but especially from Apollo Bay to Port Campbell. To identify – Southern Right Whales have no dorsal fin, white callosities (lumpy bits) on their head, broad paddle-shaped flippers and their blow is V shaped. 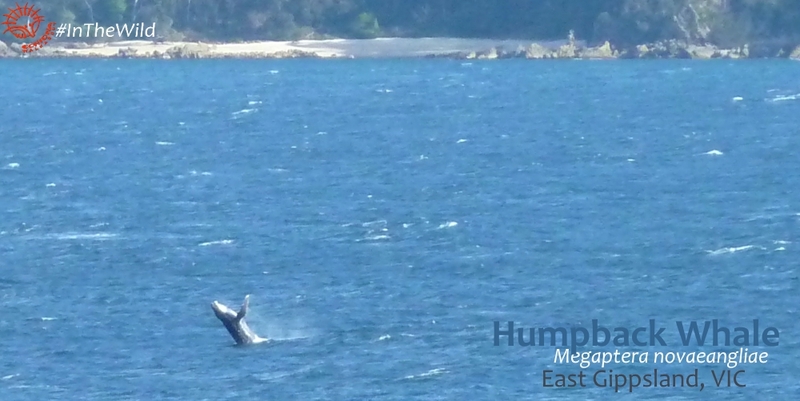 Humpback Whales have huge long flippers, a dorsal fin, lumps but no white callosities on head, and a straight up cloud-like blow. Two species of Bottlenose Dolphin occur along the Victorian coastline – the Common Bottlenose and the newly-described Burrunan Dolphin. Burrunan Dolphins are a little smaller and usually seen in bays and close to shore. 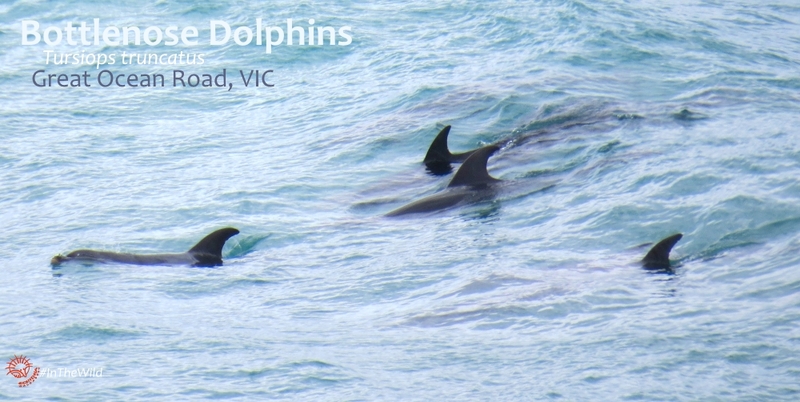 Dolphins can be seen along the Great Ocean Road coast at any time of year. We most often see Bottlenose Dolphins, but other dolphin species including Common Dolphin and Risso’s Dolphin are also possible at any time of year. 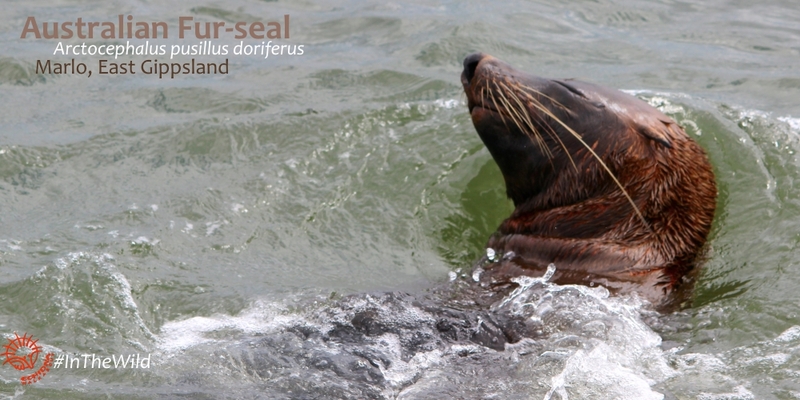 The largest breeding site of the Australian Fur seal is Lady Julia Percy Island near Warrnambool on the Great Ocean Road – over 25% of the entire world population breeds here. Fur seals are present at the breeding site all year round, but the largest population and greatest interactions occur in the summer breeding season. Fur seals can be seen almost anywhere along the Great Ocean Road, resting on ‘haul-out sites’: small islands where fur seals stop to rest, or swimming in the ocean, an estuary or bay. 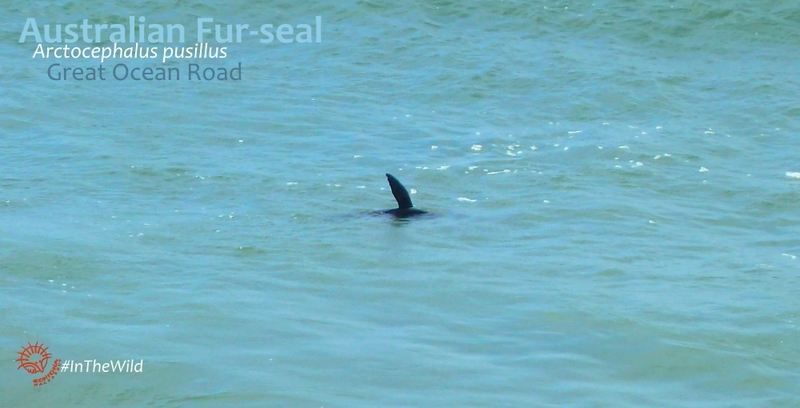 Book a Great Ocean Road mammal trip now. Departs every Tuesday and Friday from Melbourne. Part 2: Mammals of the Great Ocean Road: Koala, Echidna, Bandicoots, Potoroos and Possums.